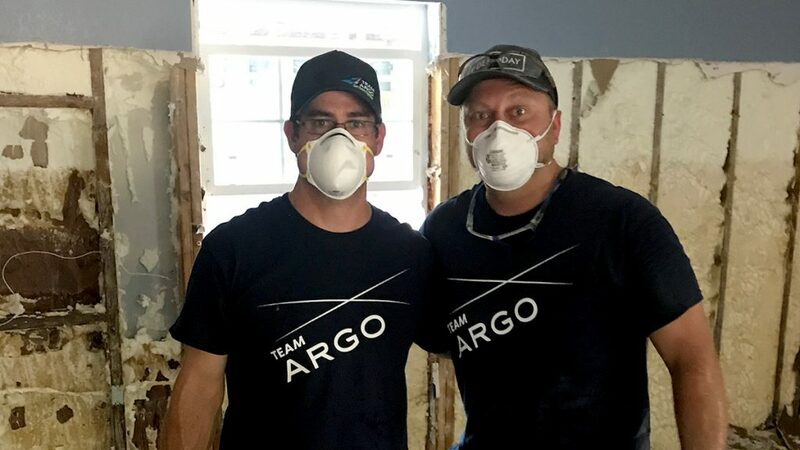 From ripping out soaked sheetrock to trucking in supplies, Argo employees didn’t hesitate to help after Hurricane Harvey pummeled Texas. It didn’t take long for Argo employees to swing into action after Hurricane Harvey smashed the Texas coast in late August, flooding thousands of homes and businesses in an area spanning several hundred miles. For Argo Surety President Joshua Betz, that meant weeks of demolition and cleanup work at more than a dozen homes, while marshaling desperately needed construction and cleaning supplies from San Antonio. Although Betz’s home didn’t flood, he and his family were unable to leave it for several days after Harvey walloped the Houston area. Argo responded with support to nonprofit organizations well-placed to deliver aid, including donations to the American Red Cross, the Insurance Industry Charitable Foundation and Houston’s First Baptist Church, which continues to deploy teams of up to 1,000 to help in the demolition and restoration effort in the greater Houston area, said Betz. From checking on employees to rounding up supplies, the company’s response and the initiative of individual employees have been gratifying, Betz said. “Going to help at a house, I realized there are certain things you need – safety goggles, good gloves, masks that are OHSA-approved to avoid mold, pry bars, mallets and hammers, tools to remove sheetrock, cleaning supplies,” Betz said. When Betz put out a request for help gathering and delivering supplies, Argo’s San Antonio office responded. Marketing Manager Rebecca Kelley and San Antonio Office Manager Zeke Contreras each drove multiple roundtrips to Houston – two of those trips back-to-back from one day to the next – delivering loads of chainsaws, tools, safety gear, cleaning supplies and other essential items that were hard to come by in the immediate area of hurricane damage. 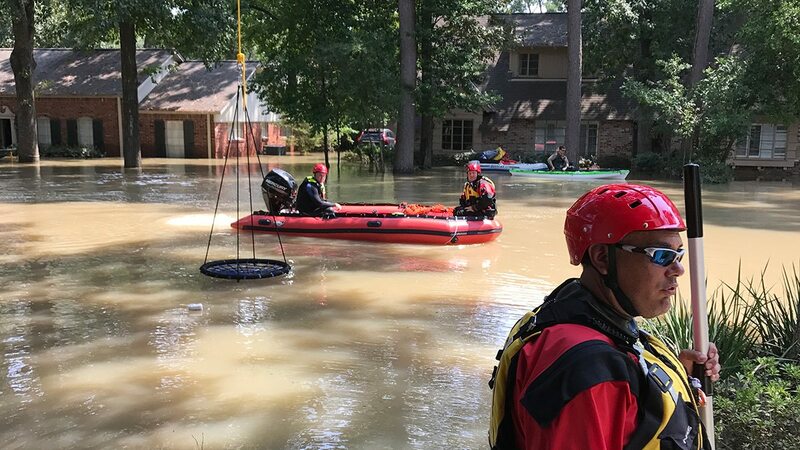 Kelley and Contreras also transported 5-gallon buckets filled with tools and cleaning supplies – kits that still are in use by teams working in the Houston area. Being ready to respond quickly to a challenge is business as usual for Argo, Contreras said, who described the perspective he gained from his experience in Houston. Argo also offers to match eligible employee charitable donations at 150 percent, a program that employees were able to take advantage of in the aftermath of Harvey. 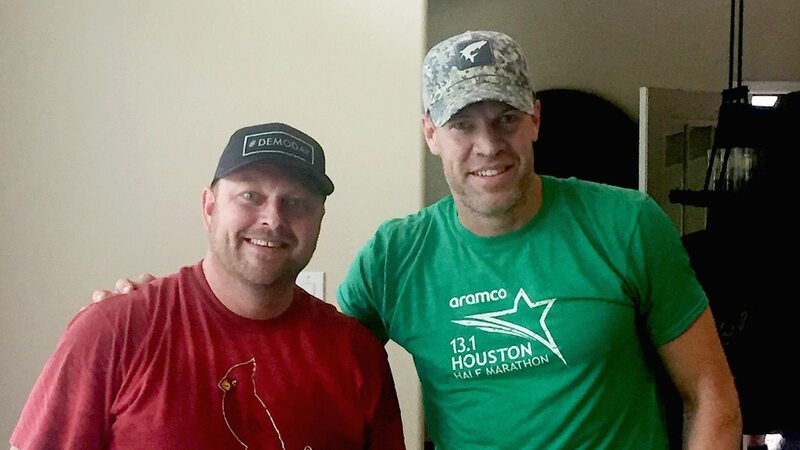 Betz encouraged fellow employees in Argo’s Houston office to volunteer. Some stepped up to provide childcare so others could help with the heavy labor of hauling waterlogged furniture, flooring and sheetrock out of homes that had several inches to several feet of floodwater in them. “This is one of those situations where you can’t put it off for a month,” Betz said of the imperative need to stop mold before it overtakes sodden structures. Some Argo employees volunteered at area shelters, while others signed up to wash, dry and fold laundry for those with no means of cleaning clothes. Commercial Surety Senior Underwriter Sarah Stanfield spent a week alternately cleaning out flooded homes and making meals for first responders and displaced families. She wanted to help return just a little bit of normalcy to families’ lives and allow them to sit around a table together and enjoy a homemade meal. In San Antonio, employees participated in a food drive and also donated supplies for the Corpus Christi region, thanks to the efforts of Senior Claims Adjuster Kara Cho, who offered to transport literally tons of supplies from San Antonio to the Corpus Christi area. In July, Cho and her husband, Michael, started their own long-haul trucking business, Great Dane Trucking. “I thought, ‘I have to do something. What can we do?’ I said, ‘We need to do something on a much greater scale. Let’s try to fill the truck and take supplies to them,’” Cho recalled. The Chos offered to deliver supplies, donating the gas and use of their 53-foot trailer and truck. 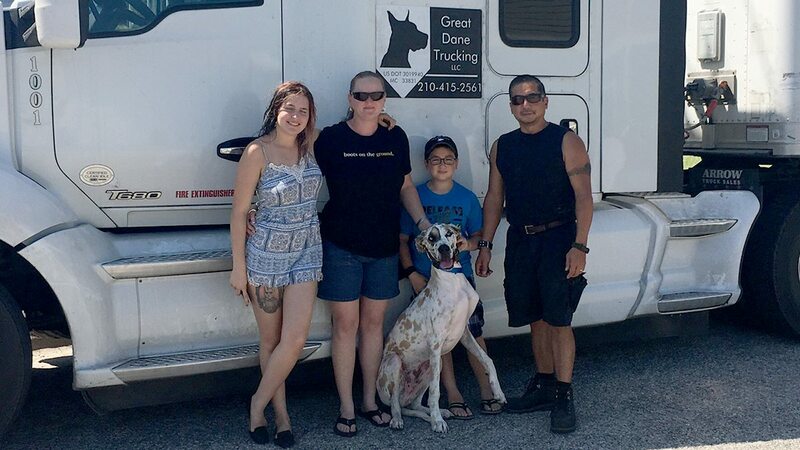 And on September 16, the couple, their children and their Great Dane, Chip, headed to Corpus Christi, where they were met by claims employees Angela Rea and Rogelio Hernandez and his brother. The Chos’ trailer was loaded with 15,000 pounds of supplies, including baby food, diapers, cleaning supplies, brooms, mops and hygiene products. The items were donated by Argo employees and a local nonprofit, which also sent a second truck loaded with supplies. “It just seemed like diapers for days,” Cho said of the donations the group helped to unload and sort in the warehouse of the receiving nonprofit, North Padre Watch, located about 12 miles south of Port Aransas. The Chos also delivered three pallets of bottled water to a makeshift supply center run by locals. Rea, a Houston native, recalled her own experience nearly a decade ago with Hurricane Ike. Rea felt strongly about helping out. “No family should ever be worrying about where their next meal will come from,” she said. Rebecca Kelley, a former Houston resident with family in that city, also spent the weekend helping residents in the Port Aransas and Rockport area. She drove down a load of supplies, helped unload items and coordinated additional volunteer support with Operation Comfort, a nonprofit Argo sponsors that supports wounded warriors. Twenty-one wounded warriors volunteered along with Kelley, helping with cleanup and sourcing food for residents in Rockport and Sinton, said Janis Roznowski, founder and executive director of Operation Comfort. 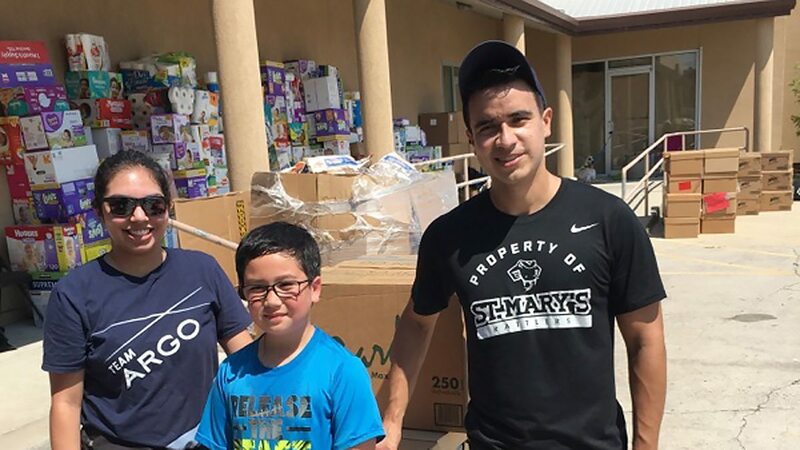 Argo’s delivery of supplies, made possible by Cho’s donation of her truck, filled a real need in the community by providing desperately needed and specifically requested items, said Rachel Warner, founder of North Padre Watch.